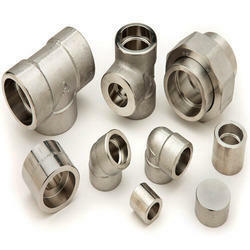 Our range of products include socket fittings, male branch tee fittings and elbow fittings. We are offering an immaculate array of Socket Fittings in the domestic market. Made from superior quality raw material, our range is highly acclaimed by the clients for corrosion-resistance, abrasion resistance, high strength and long functional life. Furthermore, we provide this collection at industry leading rates to the clients. D1 D2 L1 CODE No. D1 D2 L1 CODE No. 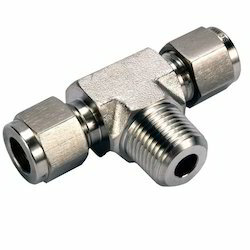 We are offering superior grade Male Branch Tee Fittings to the clients across the nation. These tees are designed and manufactured by skilled professionals, making using of optimum quality raw material. Preferred for connecting various joints, these Male Branch Tees are highly demanded in the national market. D2 d1 L1 L2 L3 S2 CODE NO. We manufacture and supply a huge gamut of Elbow Fittings that are made using optimum quality material. Backed by a deft team of professionals, we are capable of providing the best equal elbows to the clients. Made as per the international standards, these products find usage in varied industrial applications. D1 D2 L2 CODE No. D1 D2 L2 CODE No.